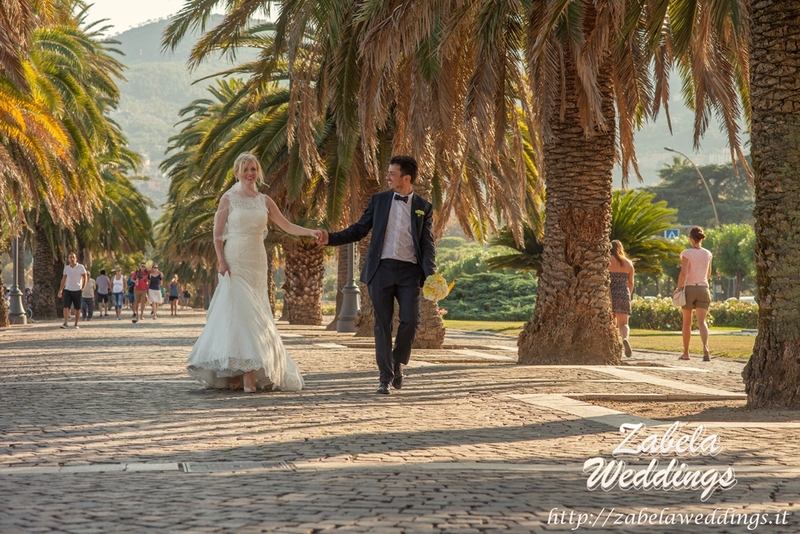 Roman and Irina had a very responsible and serious approach to the question of choosing a location for their symbolic wedding ceremony in August. They toured half of Europe , visited the most beautiful places for a wedding in Greece, Spain and France. They wanted to find a unique place , a beautiful and non-conventional. 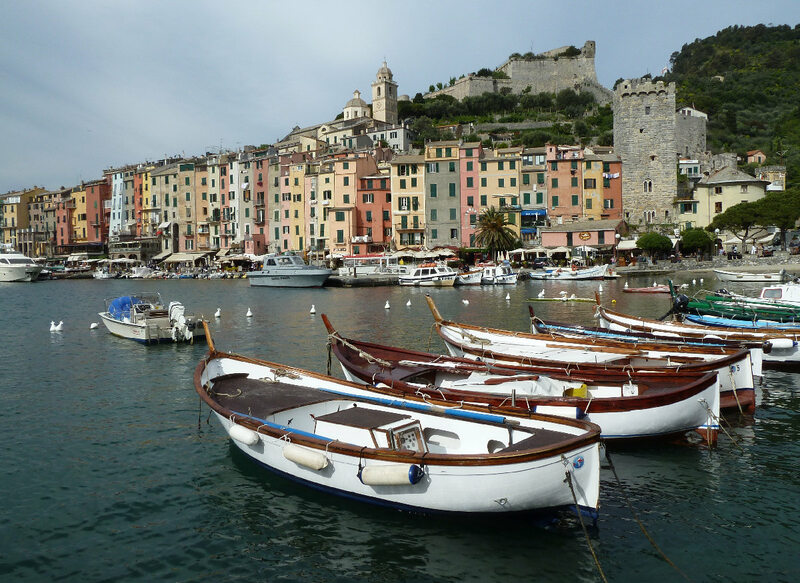 So in April they arrived in Liguria. 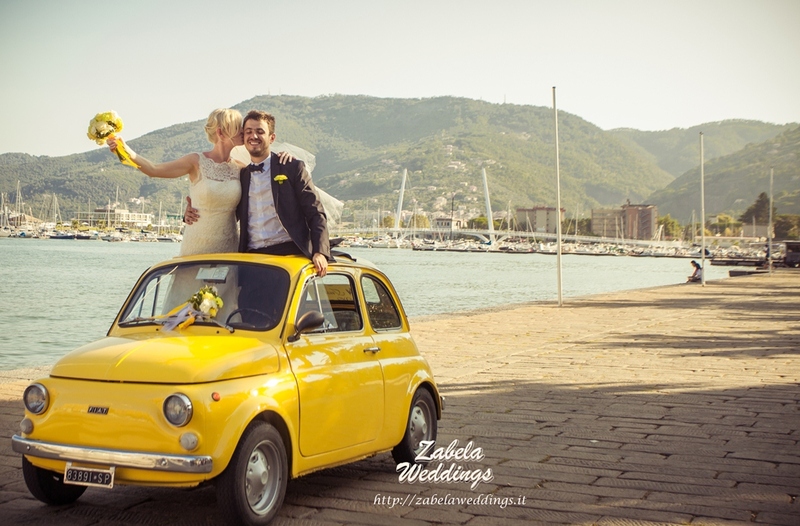 Liguria does not have lots of unusual venues for weddings, but there are some real masterpieces! 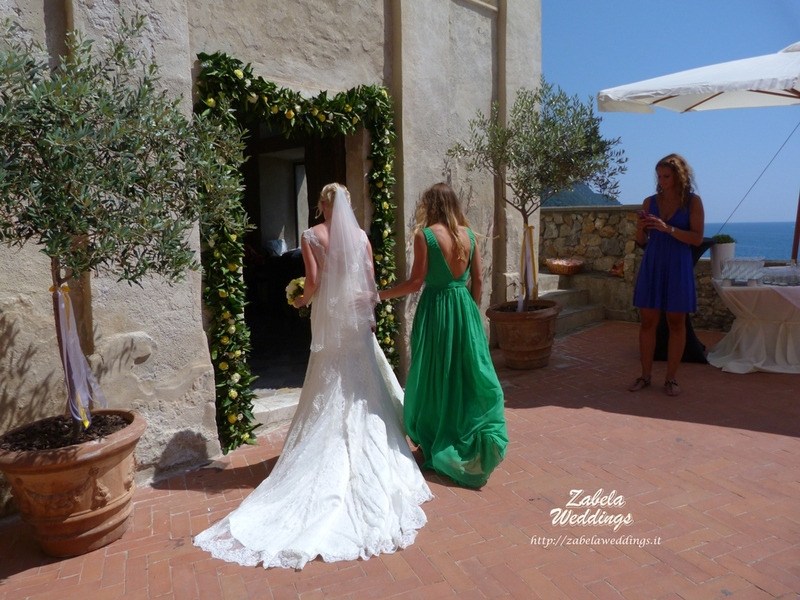 - I'll show you two very beautiful and fascinating places for the ceremony - Yuliya told us .- One of them is an old former church of the 12th century situated on a high rocky cliff near the sea . 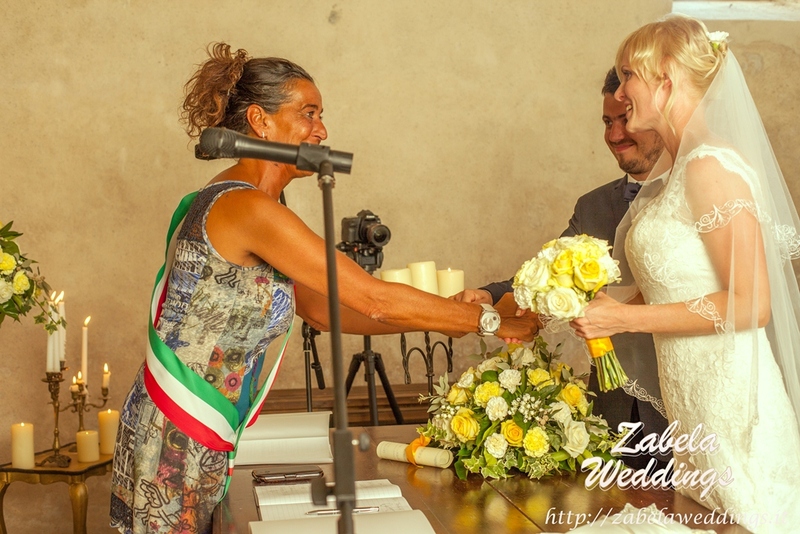 - Ok, although we can’t imagine our wedding in the church – we were quite skeptical. 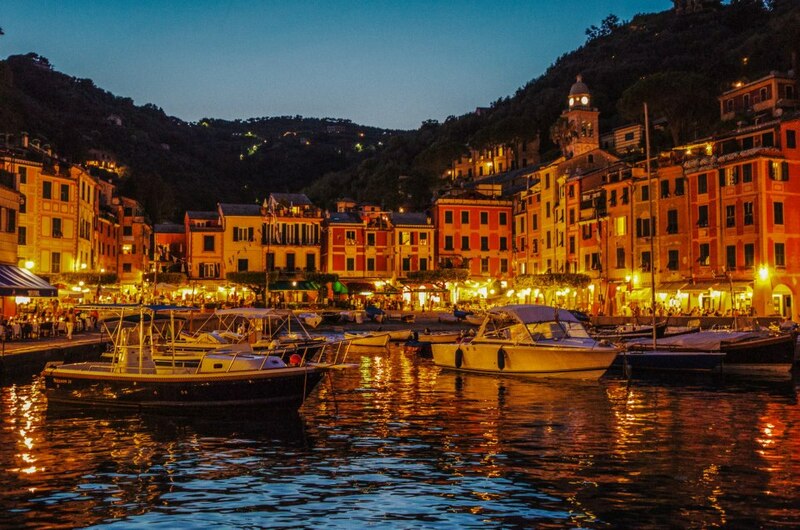 "Having arrived in this tiny town we remained fascinated by the charm of its unusual architecture: all houses were so close to each other , and the town itself was hanging above the sea . Walking down its narrow streets we reached our destination. The chapel of Santa Lucia was situated on a high cliff just above the se . It was so unbelievable that we could hardly speak, overwhelmed by emotions. 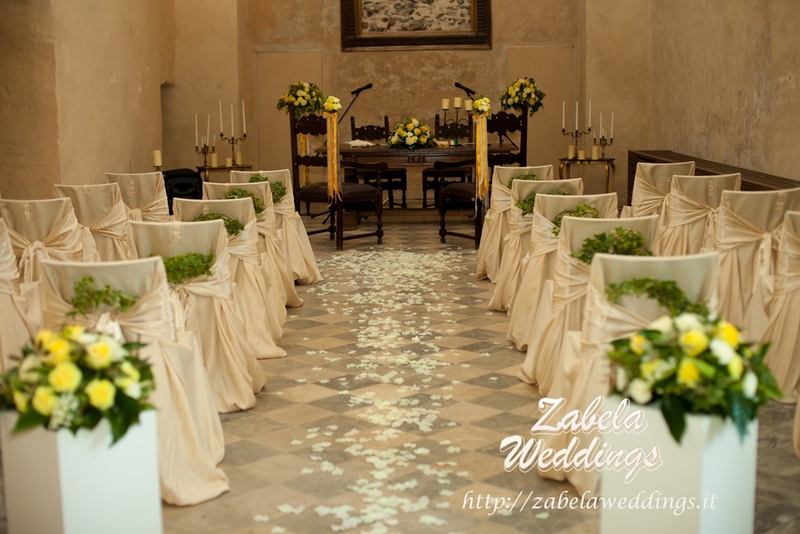 The chapel was even more beautiful inside, full of a special mysterious atmosphere "
The bride cried with happiness , and the groom was really excited. This was love at first sight. 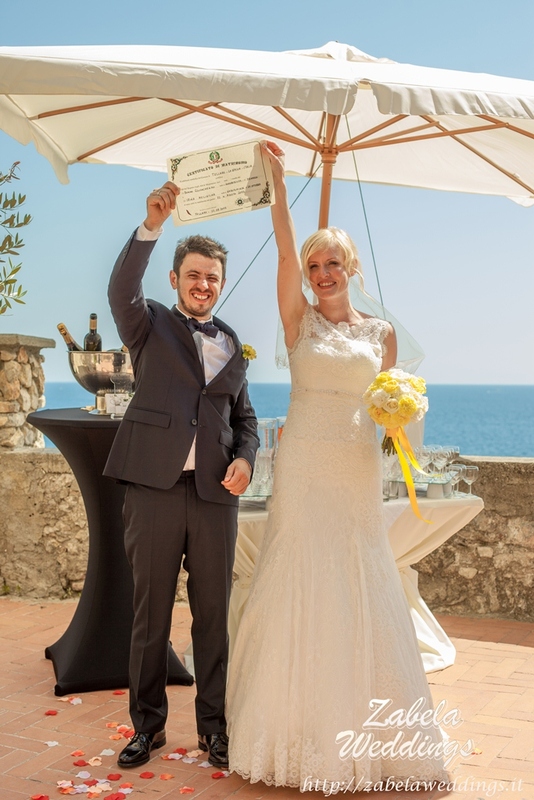 After visiting the chapel the couple was shown a beautiful castle, as an option for the ceremony, but it was all decided – the ideal place for the ceremony has been found! 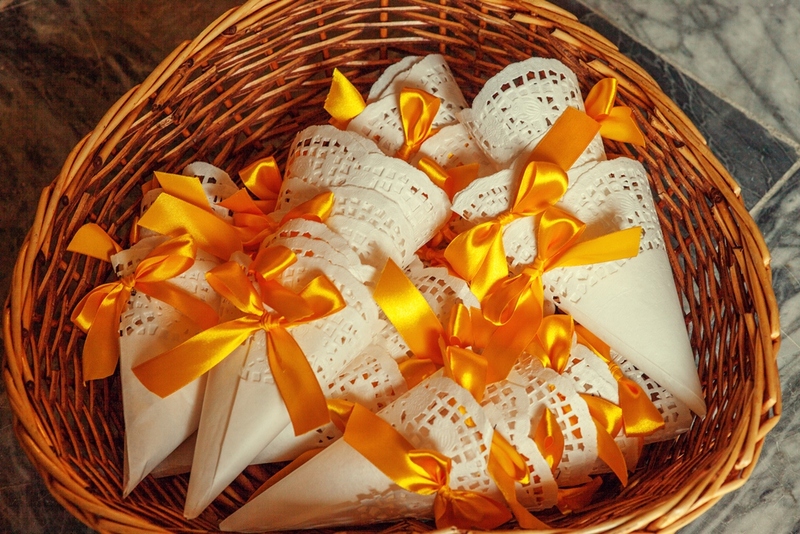 On the wedding day, after the ceremony in the chapel , all the guests thanked the organizers for a touching and unusual ceremony in such a fabulous place. 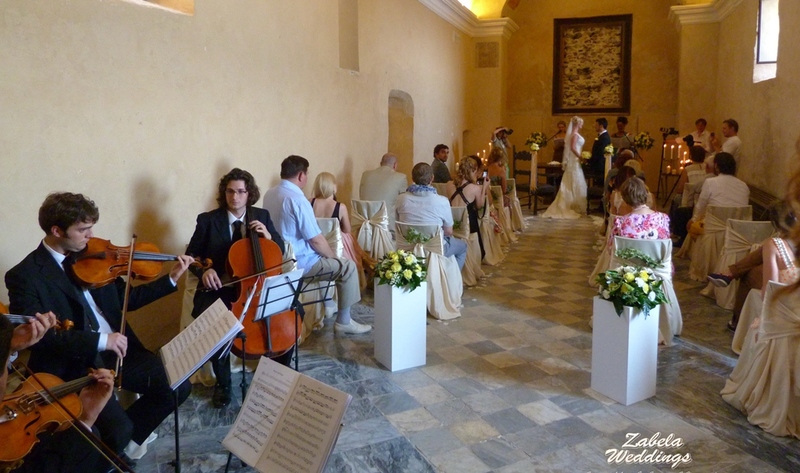 The guests were offered delicious Italian food and drinks on the rock near the chapel, and a beautiful music was pleasant to their ears. 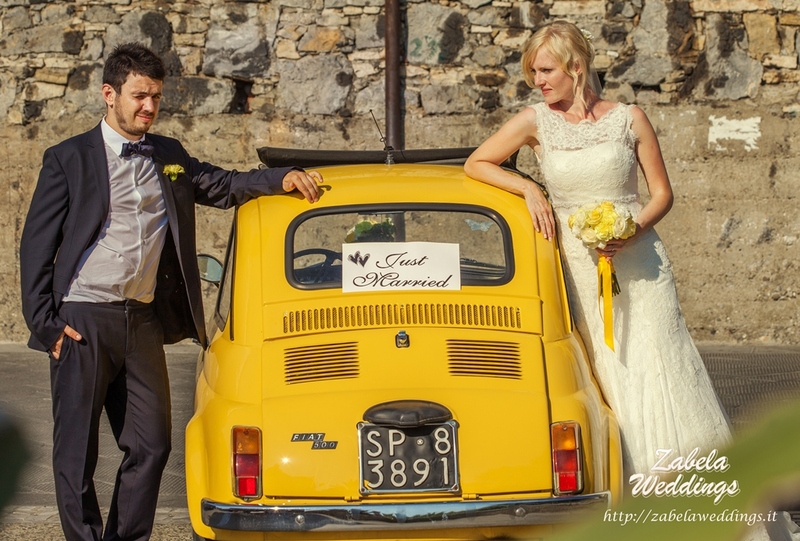 The newlyweds left the ceremony in the old Fiat 500, which was bright yellow, just like the other colours at that sunny wedding. 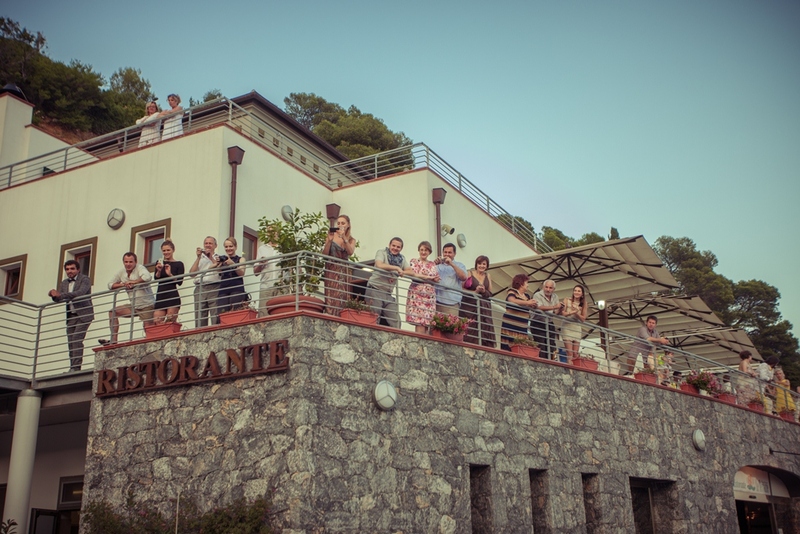 A wedding dinner was held on the opposite shore of the Gulf of Poets , on the outdoor terrace of the restaurant in a small town of Portovenere. The guests arrived there on the boat.